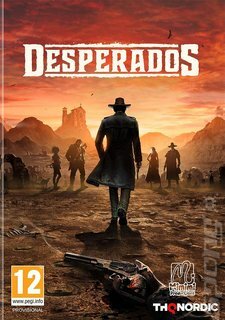 Desperados III is a modern take on the real-time tactics genre set in a harsh Wild West scenario. You take control of a ragtag band who become a highly functional group of unlikely heroes and heroines, overcoming their personality clashes to join forces and combine their distinctive character specialities to challenge a seemingly superior foe. Hunted by ruthless bandits and corrupt lawmen, the Desperados need to turn the tables against superior numbers and borderline-overwhelming odds in every single mission.